Himachal Pradesh VidhanSabha Elections is schedule to be held on 9 November 2017. 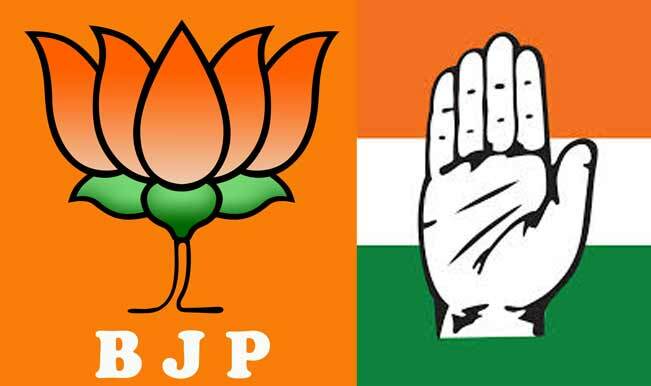 BJP and Congress party both parties candidates are in front of People of HP. Here is list of Candidates of BJP and Congress party fighting with each other in upcoming Assembly elections with all comparison. From Last VidhanSabha Chunav, in this election there are many veteran leaders as well as young leaders from both parties. In this election there are many things which make election more interesting . 1. Former congress leader and Former cabinet minister Sukhram and his son have joined Bhartiya Janta Party. 2. Vikramaditya singh Bushahr, son of Virbhadra singh is fighting from safe seat of Congress party i.e. Shimla Rural from where virbhadra singh won last election. 3. King of Kullu, Maheshwar singh won from his party Hilopa in last election but this time he is in BJP. 4. Congress senior leader and Chief minister Virbhadra singh is fighting election at age of 83 to become Chief minister for 7th time. 5. Vidya Stokes popularly known as Madam nomination papers were rejected by the election returning officer, because before her Deepak Rathore filed his nomination papers. After announcement of dates of Himachal Pradesh vidhan sabha elections 2017 several News channels and companies are doing surveys/opinion polls and results are in favour of both parties. Congress Party : Congress party have trusted veteran senior leader and six time chief minister of Himachal pradesh Virbhadra singh. His aim will be to create history by becoming 7 time chief minister of Himachal Pradesh. Virbhadra Singh is campaigning alone for all candidates even at age of 83 he is campaigning like a young leader. Virbhadra Singh's aim will be to work for his son's seat, So he sacrificed his own safe seat Shimla Rural for Vikramditya Singh. BJP : Bhartiya janta Party has not revealed their CM candidate for upcoming elkecytipon as they will go in election with their no CM candidate policy like Maharashtra, Jharkhand, Haryana etc where BJP won.